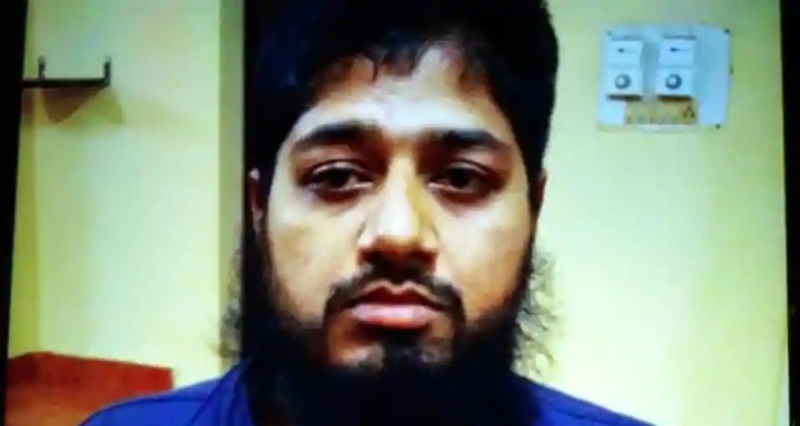 The Special Task Force of Kolkata Police arrested Jamaat ul Mujahideen Bangladesh (JMB) operative Abdul Matin on Thursday in Kerala for links to the 2014 Burdwan blast that exposed an expanding network of jihadist in a few districts of West Bengal, Hindustan Times reported. Matin has been brought to Kolkata on transit remand, an officer said on conditions of anonymity. He would be produced in a court in Kolkata on Saturday. “Matin hails from Barpeta in Assam. He became a JMB member in 2010 when he was studying at a madrasa,” the newspaper quoted an officer of Kolkata Police as saying. He received training in making IEDs and was involved in the making of IEDs, claimed officers. Matin was one of the 15 persons who were imparted arms training in Simulia madrasa in Burdwan district. Matin allegedly left Bengal for Kerala immediately after an IED accidentally went off on the first floor of a rented house at Khagragarh area in Burdwan town in Bengal on October 2, 2014, killing two suspected JMB terrorists who were running a terror module. Matin’s arrest took place within three days of the National Investigative Agency (NIA) taking into custody Kadar Kazi and Sajjad Ali from Arambagh area of Bengal’s Hooghly district on January 28. Both Kazi and Ali were linked to the Burdwan blast. Matin’s arrest was the 33rd in the incident. The NIA took charge of the investigation in 2014 and submitted the chargesheet before a special court on March 30, 2015 naming 21 people including four Bangladeshi nationals for their involvement in the conspiracy to overthrow the Sheikh Hasina government in Bangladesh through violent terrorist acts and replace it with a Sharia-based Islamic rule. The investigative agency also filed two supplementary chargesheets – one in July 2015 where six including a Bangladeshi was named and the other in December of the same year against 28 persons. In the chargesheet, NIA mentioned that the terror elements spread their network in Bengal’s districts such as Burdwan, Birbhum and Hooghly. Incidentally, in August 2018, Kausar, a key accused in the Burdwan blast case, was nabbed from a guest house in Bengaluru by a joint team of NIA and Bengaluru Police.